Acetylglucosamine is a natural-source substance found in healthy cartilage that aids in joint lubrication. 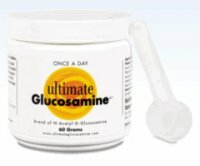 Ultimate Glucosamine® is a powder consisting of 100% acetylglucosamine. This is the form of glucosamine actually found in the human body. It is an important nutritional component of human breast milk and is the second most abundant sugar after lactose. Ultimate Glucosamine® is the purest form of glucosamine on the market. It is the purest because its formulation contains no additives such as salts, preservatives, coloring agents, glutens, lactose or yeast. It dissolves readily in both hot and cold liquids. When dissolved in water it forms a clear, colorless solution that has a pleasant, sweet taste. Because of these properties, Ultimate Glucosamine® is easy to add to your favorite hot or cold beverage or morning cereal. For a pleasant, relaxing bedtime drink, add 1 teaspoon to a cup of camomile tea. Add 1 teaspoon to your daily cup of early morning coffee. Sprinkle 1 teaspoon over your hot or cold morning cereal. After playing sports or other physical activity, add 1 teaspoon to your favorite thirst-quenching hot or cold beverage. The once-a-day, pleasant-tasting formula can easily be adapted to your daily routine - wherever, whenever. 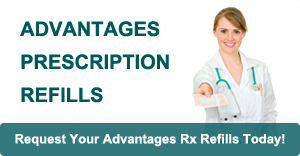 Most people take 1 level teaspoon (5 mL), or about 2 grams of acetylglucosamine, at a time. Others prefer to use more, especially when they first start to take Ultimate Glucosamine®. Since the substance has no known toxicity, 2 to 3 teaspoons per day can be taken without any side effects. Pregnant or lactating women should consult a health professional before using this product. Avoid this product if you have allergies to shellfish.